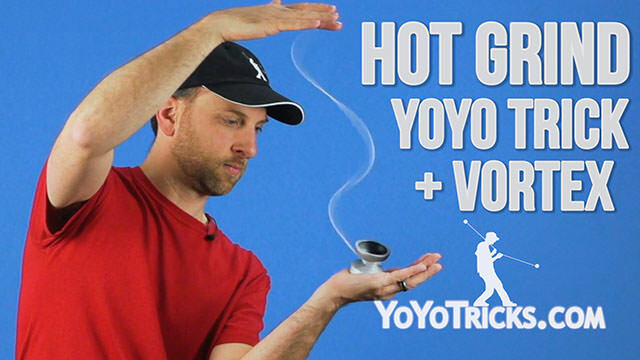 How to do the yoyo trick Hot Tamale. You are going to start this trick like you are going into a Hot Bind. You want to throw across your body, catch with your thumb, and then do a couple of pinwheels. This will allow you to keep control of the yoyo at an angle and throw harder, which is great because you want to catch the yoyo at a slight angle when you do the finger spin. 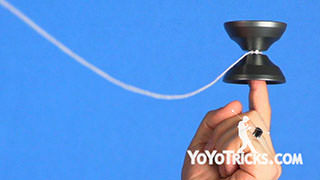 As you know, when you throw the yoyo and it is perfectly leveled, it will rotate around your finger. But if you catch it at a slight angle, it will be much more controlled. Because this trick has two grinds, you want to work as quickly as possible. 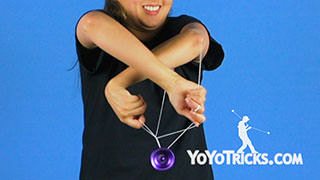 Instead of catching the yoyo in front, you want to turn your wrist to the side so you are halfway through the rotation. 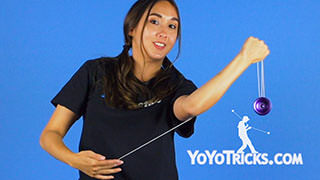 Then you want to turn inward and then pop the yoyo up from behind your arm. 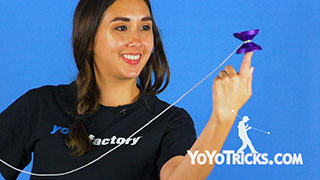 When you pop the yoyo up, you want to have it at eye level so you can see it better and it will give you more time to flip your hand over to do the Hot Bind. If you are having trouble with this, you can bend your knees and push up, to give the yoyo more height. 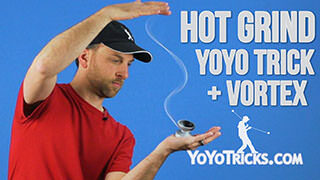 Finally, you want to catch the yoyo and bind it back to your hand. 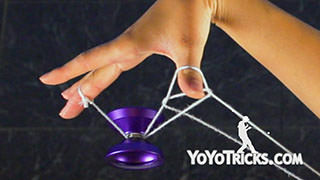 Of course, you want to be really good at finger spins and the Hot Bind. YoTricks has videos on those you can check that out. But that is how you do Hot Tamale. It is a widely accepted fact that all the best players do 2A, obviously. But the even better players do 3A.